This scale has either been discontinued or the model number has changed. The information on this page is for viewing and reference purpose only. Please call us at 1-800-526-0070 for the replacement model number or to suggest a comparable model. Thank you. The AEP series are the professional series of precision balances in the Adam range. The AEP series have 15 weighing units including a user programmable custom unit as well as built-in applications including weighing, parts counting, percent weighing, averaging, filling guide, animal weighing, formulation mode and density determination. Additional features are automatic compensation for minor temperature variations, the facility to enter date and time and an easy to use keypad as well as an attachment for a standard keyboard. The balances also offer the possibility for a remote display, tare switch and print. Calibration: Calibration with internal mass. Optionally the user can use an external mass. 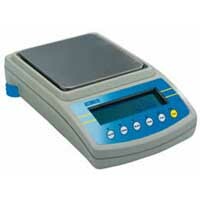 Functions: Weighing, Parts Counting, Check weighing, Statistics, Percent Weighing, Animal Weighing, Formulation mode, Density Determination of solids and liquids, Filling program, Ambient temperature control for calibration, Full control of filters for ambient conditions, error messages, menu to access all parameters and enable or disable all modes and functions. Weigh below ability. Output for external Tare and Print keys. Other features: Output formats: 1 standard and 4 user programmable formats up to 80 strings of text or control characters. Special GLP format for monitoring calibration.